A normal part of aging - and a normal part of menopause - is dealing with a slightly foggier memory. With age, it's common for some things to slip the mind more easily, like the name of a friend from long ago or even an appointment scheduled too far in advance. 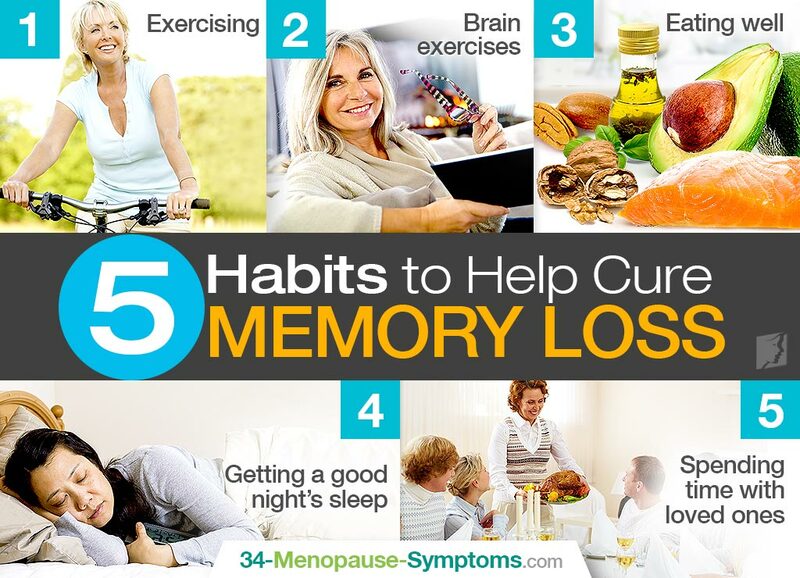 Additionally, an imbalance in estrogen levels during menopause affects memory, making these problems even more likely. There are a few ways to help your brain stay sharp and improve your chances of remembering things. Regular exercise is one of the most important methods of keeping the brain healthy, especially for women who are aging. Exercise increases blood flow to the brain, which can help the brain develop new neurons and maybe even new connections. It is important to note that this is due to aerobic exercise, such as walking, running, or biking. The suggested amount is 30 minutes, three times a week as a minimum. An excellent way to keep your brain sharp is to use it. Learning a new skill can help to use new pathways in the brain, whether it is taking a class on a new subject, learning a language, or even just learning how to knit. Reading books and solving puzzles can accomplish the same thing as well. Using your brain's powers helps to keep them from declining. Also important is making sure your brain receives all of the many nutrients that it needs. Healthy fats can be especially important, since the brain relies on its fat content to work properly. Additionally, it is important to avoid overindulging problem foods. Blood sugar fluctuations and high cholesterol levels can cause memory problems, so try to cut down on foods associated with those issues. Sleep deprivation can make it easy to be distracted, which makes it more likely that something might slip your mind. However, lack of sleep can have long-term effects on the brain as well, and these seem to affect memory. Sleeping for a full eight hours every night can help keep your memory up and running properly. Surprisingly, simply spending some quality time with close friends and family might help to stave off short-term memory loss. Spending too much time alone is correlated with a greater likelihood of having problems with memory, so meeting up with friends every once in a while is both enjoyable and good for your health. With these simple habits, you can cut back on memory loss and stop having to deal with the annoying problems that come with it. For more information about memory loss, read all about its causes, treatments, and more.